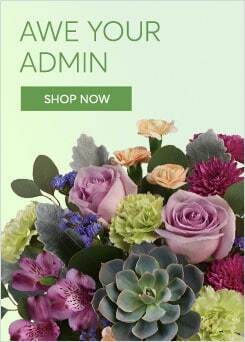 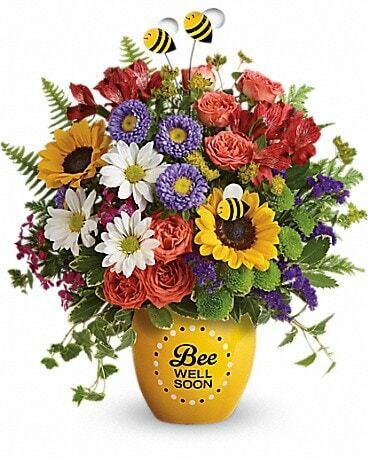 Boost their spirits and brighten their day with this garden of wellness! 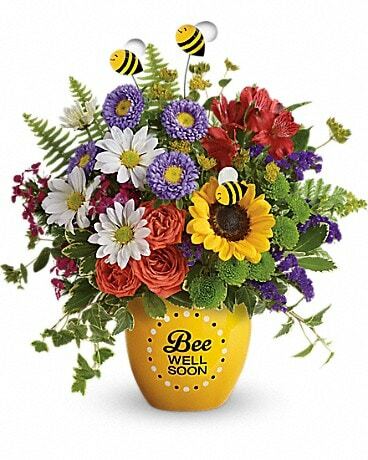 Hand-delivered in a sweet ceramic "Bee Well Soon" pot, this colorful arrangement of roses, alstroemeria and asters is abuzz with delightful bee decorations - and your very best wishes for a speedy recovery. 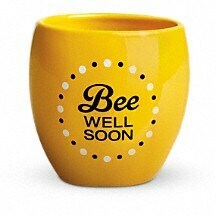 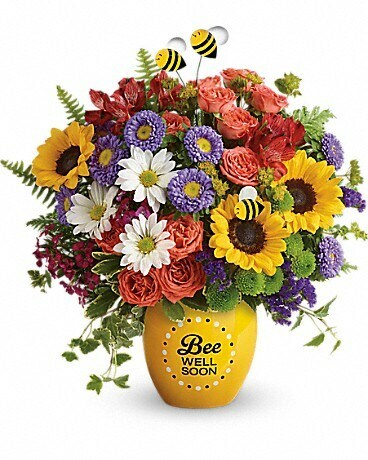 This get well pot is just abuzz with "bee well" wishes and available exclusively from Teleflora.